Dyslexia involves difficulties in learning to read and write. However, this is not the only form of difficulty that people with dyslexia experience. There is a wide variety of terms used to describe specific difficulties in learning to read. The original term ‘word blindness’ was rejected in the 1960s and replaced by the more familiar term dyslexia, which is preferred by people with dyslexia and their families. However, it is disliked by many psychologists, who believe that it implies a degree of certainty about the existence of a distinct syndrome. In fact, there is continued debate about the core symptoms of dyslexia and its potential causes. The terms specific learning difficulty or specific reading difficulty are preferred because they are more neutral and less suggestive of a distinct and cohesive ‘medical’ syndrome. The following terms and definitions are often used in the research literature. Developmental dyslexia: Refers to a congenital condition that results in a primary difficulty in learning to read and write. Specific learning difficulty: Used to refer to specific difficulties in one area of learning such as reading or mathematics. Specific reading difficulty: Used to refer to specific difficulties in learning to read, but in no other areas of academic study. People with dyslexia usually have particular difficulties with coding. That is to say, learning and retrieving the associations between verbal and visual information. The most obvious example is when we have to learn what sounds the letters of the alphabet make, e.g. the written letter ‘A’ (visual information) is sounded as /eɪ/ [like the sound of ay in the word pay] (verbal information). For reasons such as this, mental arithmetic is also often difficult. In fact, math generally can suffer because of the coding that is often necessary when learning mathematical symbols and their functions. Generally, people with dyslexia have difficulty dealing with phonological information in short-term memory. So, any task that requires the processing of verbal information will prove difficult. This and the difficulty with coding can also affect the speed with which people with dyslexia are able to learn and recall the names for objects. Another general area of weakness is the sequencing of information. Poor sequencing can affect the written expression of ideas, or methods of working in mathematics. However, it most obviously affects information that is usually learned by rote, such as the months of the year, or multiplication tables. Directional confusions are also common, and people with dyslexia often have difficulty remembering left from right. The following is a list of the key characteristics exhibited by people with dyslexia in comparison to people without dyslexia. A delay or deficit in understanding letter–sound correspondences. A delay in learning to read. Some initial difficulty in recognizing rhyme. Difficulty in learning labels (e.g. names for new objects). Difficulty naming objects and word finding. Difficulty learning sequences (e.g. months of the year, the order of a sequence of tasks). Slowness in learning text or verbal information. A subtle difference in form and function of some areas of the brain. 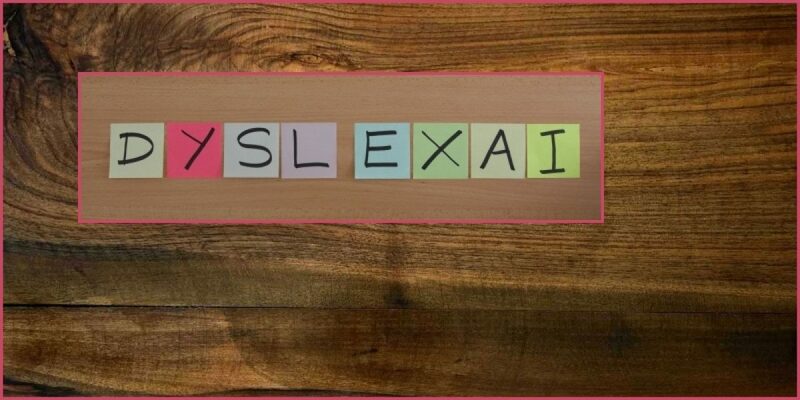 Dyslexia is relatively common, with an estimated prevalence of around 5 per cent in its severe form, and as much as 10 per cent if milder cases are included (UK figures). Prevalence depends on the definition used and there are several different ways in which the identification of dyslexia can be approached (see Definitions of Normality). This article is adapted from ‘Understanding dyslexia’. An OpenLearn (http://www.open.edu/openlearn/) chunk reworked by permission of The Open University copyright © 2016 – made available under the terms of the Creative Commons Licence v4.0 http://creativecommons.org/licenses/by-nc-sa/4.0/deed.en_GB. As such, it is also made available under the same licence agreement.